I couldn’t let Mild month pass without a Tetley’s Mild recipe. And an unusual one. Because it’s a late example of a pretty strong Mild. 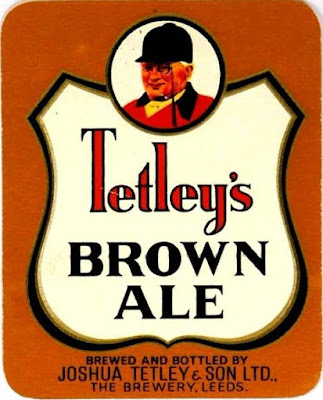 It’s from Tetley, too. You know how obsessed I am with them and their Mild. The impressionability of youth. The happy memories I have of that beer. Discovering it handpulled in the Sheepscar. When Sheepscar was a clearance wasteland, with only a couple of lonely pubs still standing. A sad time for Britain’s cities. Bulldozed and bullied. Tetley, unlike those soft Southern brewers in London, continued to brew stronger versions of Mild. Like this one. Which has double the ABV of their Mild I adored. I lived for a while in a back to back in Cross Green. Mostly uncleansed and with its pubs intact. One was a former Hemmingway’s pub, that still had their windows and Mild just the way I liked it. I think a day or two more in the cellar before sale. One pub I drank in had electric pumps. You couldn’t be sure if it was cask of bright beer. I was convinced the beer was bright. Until the landlord went on holiday and a relief manager took over. Then it tasted like cask. My conclusion? The regular gaffer was selling the beer as soon as it dropped bright. While the good ones left it to condition for a few days. A simple enough recipe. Which doesn’t need any explanation from me. Did they really specify demerara sugar? Looks like a homebrew recipe! Was brewers' caramel added or was it pale? Sounds like they were 20 years behind the curve. it was a type of cane sugar. I doubt the beer was very dark, though I don't really have a clue to its exact shade.